And stand and squat and leap and jump. And stand and squat and leap and jump. Split squad spring training workout or morning ballet class? The Oakland Athletics and the Oakland Ballet say why not both? First, second and third base – first, second and third position. Corp de ballet – Pitching corp. Both demand agility, precise timing, strength and stamina. Both require endless drill and are best performed by the young. Both provide spectators with almost super human displays of speed, flair and coordination. Both dancers and players push themselves to do something very, very physically challenging every single day they perform and to do it better each time. To hold the arabesque longer. To make the throw from right field faster and more accurate. And the very best of them make it look so deceptively easy. The careers of ballplayers and dancers are fleetingly short and both players and dancers are just one accidentally awkward landing, turn or slide away from a career ending injury. Baseball and ballet both provide spectators with moments of sublime grace and scenes of high drama that are singular in their intensity. The Oakland Ballet Company and the Oakland Athletics in particular have a lot in common. They both draw smaller crowds than their San Francisco counterparts. The players and the dancers are astonishingly talented, but they are not big names drawing big salaries. Most importantly, the ballet company and the team and their respective fans have tremendous spirit and enormous heart. So you balletomanes go out and cheer the shortstop’s extension in turning the double play. You baseball fans come see “The Nutcracker” and watch the Cavalier execute a grand jeté that would snag a ground rule double Let’s play baseballet! On September 6th, Oakland Ballet Company will launch its expanded dance training program, The Academy at Oakland Ballet. 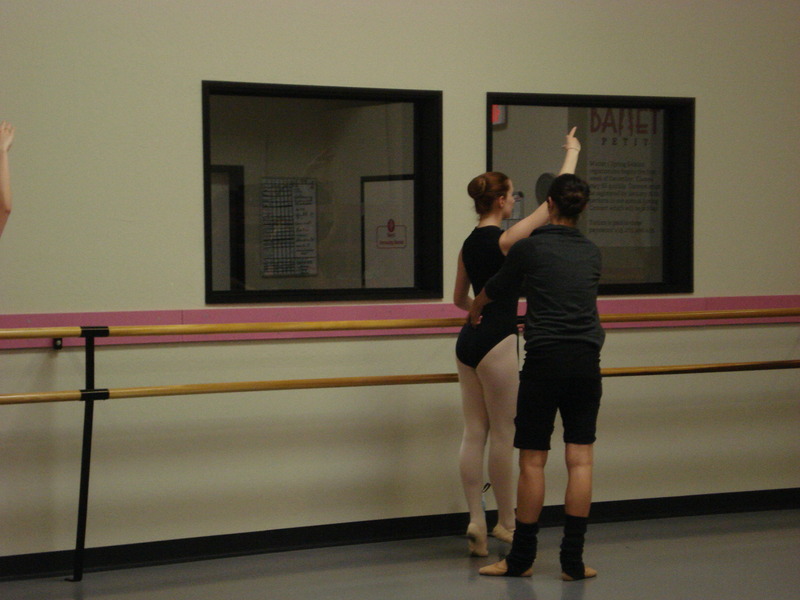 The Academy at OBC has grown out of an increased interest for ballet classes at a pre-professional level in the East Bay. For the past 3 years, OBC’s ballet training program has been limited to 3 levels of ballet instruction for ages 6-14, all on Saturday mornings. This fall, the staff at OBC is thrilled to be adding 3 additional levels of training to the program as well as offering classes 2 days/week for the upper levels! This program offers a wonderful opportunity for dancers of all types to learn and practice the art of ballet – whether you are completely new to ballet, enjoy dancing merely as a recreational activity, or you are an aspiring pre-professional dancer looking to train with one of the Bay Area’s leading professional dance companies. Students will study with Miss Vivian Aragon, who holds a BFA in Dance from Purchase College, State University of New York and is a seasoned ballet instructor and dancer in the Bay Area. 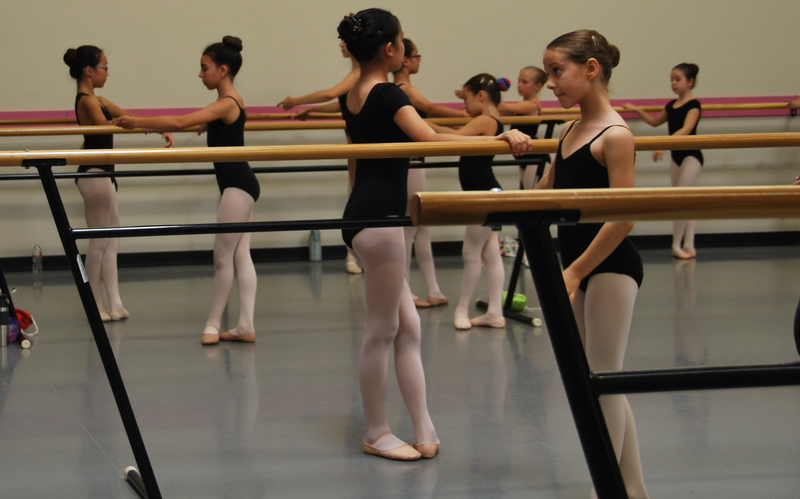 Classes at The Academy are offered two days per week for aspiring dancers ages 3 and up. For more information on classes at The Academy at Oakland Ballet, please visit http://www.oaklandballet.org/wp/theacademyatobc/2014-2015session or email theacademy@oaklandballet.org. On April 7, 2014, ten dancers, from the Bay Area to New York City, converged in the heart of Oakland to begin preparing for Oakland Ballet’s spring repertory production, Oakland-esque. For nearly 9 hours each day, these talented artists have been vigorously rehearsing four world premieres that will debut on the Malonga Casquelourd stage this weekend, May 16-17. While each of the choreographers has their own individual voice and distinct style, they all share one common thread as they began creating for this exciting program. All of the works on this program have ties to, or inspiration from, Oakland’s local art scene. Read on for a teaser about the four Oakland-inspired works premiering May 16-17 in Oakland-esque. Starting off the program is a work by local choreographer, Sonya Delwaide. While Sonya may be a native of Quebec, she planted her roots in the Bay Area in 1996 and is currently an Associate Professor in the Dance Department at Mills College. Her new work, Rocky Road, starts off the Oakland-esque program on the right foot, or in this case, wheel. Oakland’s very own AXIS Dance Company will be sharing the stage with OBC artists to perform Sonya’s piece – which is set in the era of the Great Depression. Using her quirky sense of fun, Sonya’s piece gives the feel of a silent movie, with a strong plot line that can speak for itself without using words. Incorporating the OBC dancers with AXIS Dance Company’s dancers’ sometimes wheelchair-bound vocabulary, this tasty treat has no boundaries. You will also enjoy the Jazz styling of longtime Oakland resident, Earl “Fatha” Hines, to coast you through this work. The world premiere of Robert Moses’ TIP will be the second work in this program and his second creation for the company since Graham has taken over Artistic Directorship of Oakland Ballet. Robert’s piece is yet another example of his seamless work that can often be seen on the other side of the bay. While watching this dance, you experience a clear sense of relationship between the dancers. At the same time, you may also feel that this work can change direction at any moment. At one time, it may seem as if the dancers are working together. Then in the blink of an eye, this feeling changes to a sense of tension and explosiveness. TIP is accompanied by some great music created by Oakland-raised Bass Guitarist Larry Graham, Jr.
Molissa’s new creation, Redwood Park, is inspired by Oakland’s local park of the same name. Molissa, or Mo as the dancers affectionately call her, is another local choreographer and faculty member at Mills College. While Molissa has been recovering from a knee injury, she surely didn’t have any issues hiking around and gaining inspiration from this park that holds the largest remaining natural stand of coast redwood trees. Mo is known for her stamina works that are founded within her strong modern training. This work is no exception, as you will see four of OBC’s company men scaling this hilly, yet visually picturesque work. An extra treat to enjoy as you ascend into the hills will be live music created especially for this piece by local composer Joan Jeanrenaud, performed live by Mills Alumnus Nava Dunkelman and Anna Wray. While Graham may not be local to the Bay Area, he is no stranger to the community. As Oakland Ballet’s Artistic Director, he has been an integral part in assuring that the vast Oakland arts community continues to have a voice that includes dance. To round out this program, Graham has created a work that takes community to a new level. At the suggestion of Oakland Mayor, Jean Quan, OBC has partnered with several local artists to inspire, and take part in, his new dance creation. Two dancers with the YouTube viral, BART popular dance group, the Turffeinz, Gary “Noh-Justice” Morgan and Rayshawn “Looney” Thompson, have been the inspiration for this work, and will be sharing the spotlight alongside Oakland Ballet Company dancer. The Turffeinz specialty, “turfing,” is a locally cultivated style of dance and an acronym for Taking Up Room on the Floor. It originated as a way to represent the different “turfs” that each dancer is from. Throughout Turfland, you will hear songs that were created by Oakland artists and have a unique Oakland flavor. Costumes painted with vibrant colors by local artist Samuel Renaissance add to the experience. Expect to see some fluid footwork that often ends up on the tips of the artists’ sneakers and all of the dancers of Oakland-esque dancers taking up space on our stage. The dancers have been working very hard rehearsing these works, collaborating with incredible artists, and performing at outreach events around the community. While some of the dancers are not local, it has been heartwarming to see everyone embrace and become a part of Oakland’s very important arts community. We can’t wait to see you this coming weekend to share what Oakland Ballet, and Oakland, is all about. Patience Gordon is a young, Bay Area-raised, dancer trained at Ballet Petit in Hayward, CA. Following her participation in last year’s summer intensive workshop, “Ballet Boot Camp,” Artistic Director Graham Lustig presented her with the opportunity to join our 2013 production of Graham Lustig’s “The Nutcracker” as an apprentice. Patience rose to the occasion beautifully and we were proud to include her among the Oakland Ballet Company dancers appearing on stage at the Paramount Theatre this past December. After the performances, Patience wrote the following letter to Mr. Lustig and we would like to share it with you. Following her experience, Patience realized that she wants to pursue a professional career in dance and is in the process of auditioning for various training programs around the country, including the Rock School for Dance Education and Ballet Arizona. We wish her all the best in her future dance endeavors! I really cannot begin to say how grateful I am for such an opportunity. Looking back, being a part of OBC has definitely helped me grow, not only as a person and dancer but also an artist. The company dancers are all such beautiful and talented people. It didn’t take very long for me to see how much more experience they have, but after a couple of days it stopped being intimidating and by watching them, I started to work even harder. Learning the choreography was an experience in itself. After performing in the same Nutcracker at Ballet Petit for the last 12 years, it was interesting to learn a different version. The various roles were all challenging in different ways, and I’m very thankful to have had the opportunity to learn so many different parts! One of the things that impressed me the most was the feeling of teamwork and the company’s culture of “no small dancers.” Even though I was the youngest and least experienced, I didn’t feel overlooked or ignored. I felt very included. We were a team, artists coming together to be a part of a magnificent show, and I think that is what’s so special about dance; it brings people together. Thank you again for the amazing experience! Oakland Ballet Company is pleased to bring you: “Behind Graham Lustig’s ‘The Nutcracker’” as part of our “Behind Oakland Ballet” blog. Throughout December, we will be posting interviews with professional dancers, staff, volunteers, and superfans! Make sure to check out these fun, behind-the-scenes features and learn why Oakland Ballet Company is so loved by our community. J. Miller Flowers is a full-service floral company and have been located in Oakland for over 60 years. They create distinctive flower arrangements, European bouquets, English garden baskets, exotic tropical displays and high-style arrangements for every occasion. Valerie Lee Ow shares with us her experience of partnering with Oakland Ballet Company to provide our flowers. 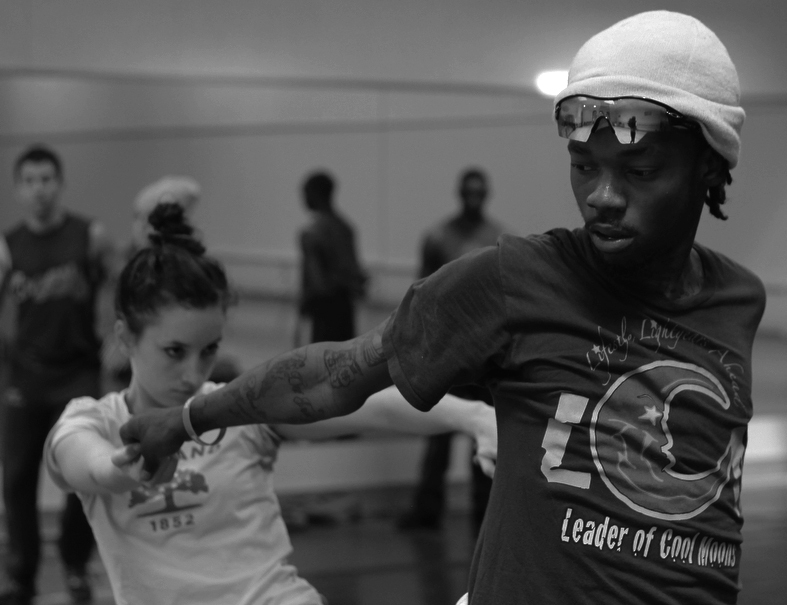 How did you originally get involved with Oakland Ballet Company? We grew up in the Bay Area and have attended the Ballet for over 30 years. I originally became involved through my parents who were long time supporters of the Oakland Ballet and Oakland Symphony. How long have you provided the flowers for OBC’s Nutcracker production? We take great pride in the fact that we have been designing and supporting the Oakland Ballet for over 35 years. Why is OBC important to Oakland? OBC is important to Oakland because it gives the community an appreciation of the arts, and a magnificent way for men , women and children to express themselves. What is your favorite OBC ballet you have seen? friends. Three generations of my family have enjoyed the Oakland Ballet at the Paramount Theatre. I look forward to designing the fresh flower bouquets that are presented at the end of each performance. I take great pride in my work and knowing that they enhance my favorite holiday show. Do you have any tips for ordering flowers for dancers during Nutcracker season – a favorite bouquet that you like to recommend to customers? To see the J. Miller Flower arrangements that our ballerinas receive for Graham Lustig’s “The Nutcracker”, get your tickets here. Everything is beautiful at the ballet. Nearly 400 students from Cleveland Elementary School gathered for morning assembly on Friday, December 13, and were treated to a VIP performance by Oakland Ballet Company dancers. Students were captivated by the athleticism and grace of the presentation. 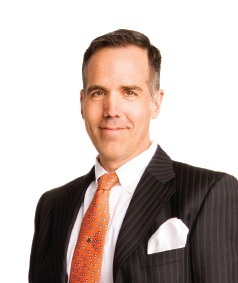 This is Van Tassel’s first year with Cleveland Elementary, and he arranged for OBC’s visit based on hearing the reviews of the company’s past demonstrations. “It was something that the community really wanted to return,” he said. Started by Artistic Director Graham Lustig in 2010 with his arrival to the company, OBC’s in-school performances teach Bay Area students about the life and training of professional ballet dancers. They are quickly becoming as much a part of OBC’s Nutcracker tradition as its annual performance of the famed holiday ballet at the Paramount Theatre. A group of four dancers describe the history of ballet – from its birth in the noble courts of Italy in the sixteenth century to the founding of the Académe Royale de Danse by Louis XIV of France – demonstrate basic steps, and create a small piece of choreography using students’ dances moves. As a finale, dancers perform excerpts from Graham Lustig’s The Nutcracker and wrap up the program with a Q&A. With 8 in-school performances scheduled this month over four dates, OBC is reaching roughly 3200 students with its special ballet curriculum. “The whole point of art is to give it to the community,” said OBC Ballet Master, Bat Abbit, who attended Friday’s performance. He added that the company is excited to share its work in a format tailor-made to interest and inspire young audiences. 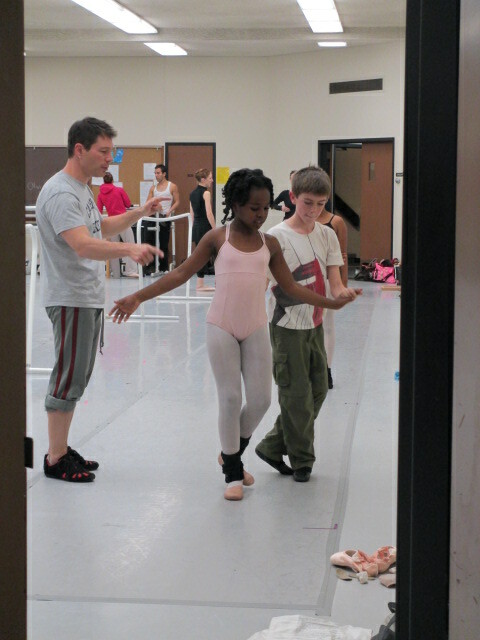 Many OBC dancers have participated in similar youth outreach programs previously in their careers. For them, the school visits are reminiscent of how they discovered dance. “That first experience can be life changing,” said Marte Osiris Madera, who performed the Spanish variation and recalled how his curiosity in the arts was peaked. “That kind of stays with you,” he added. Dancers also acknowledge that there is something to the familiarity and holiday magic of The Nutcracker that helps capture their student audiences. “Nutcracker is such an accessible ballet for younger kids,” noted Peter Hershey, who danced the role of the Nutcracker Prince alongside Daniella Zlatarev as Marie. Kids, Hershey explained, easily relate to the ballet’s dreaminess and can indulge their imagination with the performance. The wonderment in their reaction spreads its own kind of cheer. 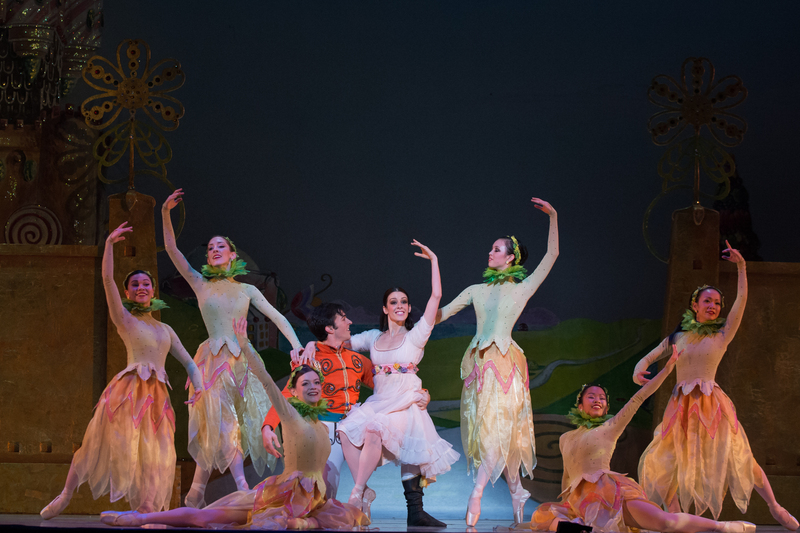 To see Graham Lustig’s “The Nutcracker”, get your tickets here. To learn more about Oakland Ballet Company’s “Discover Dance” educational outreach program and how to host OBC at your school, visit our website. How you are affiliated with OBC and how did you get involved? Oakland has become a mecca of art and culture that continues to grow each year. From the historical Paramount Theater to the budding modern art galleries, old and new artistic forms are blended throughout the city. OBC echoes and supports this aesthetic by honoring classical ballet but also incorporating new work and choreographic styles. It adds greatly to Oakland’s embodiment of artistic diversity. What is your favorite scene in The Nutcracker? My favorite scene is the polichinelle dance, which occurs just before I dance the Grand Pas de Deux. In this scene, the polichinelle children and bons bons dance with Marie and Herr Drosselmeyer (who has magically become 10ft tall!). Each show I watch as the littlest children pop out one by one from behind the gold walls. They always bring a smile to my face. Witnessing their youthful exuberance never fails to calm my nerves for the technically challenging feats ahead and to inspire me to dance with that much joy as I step on stage in the next scene as the Sugar Plum Fairy. I have been dancing since my mother put me in ballet classes at age 5. What advice would you give young dancers? I would advise them to set small achievable goals for themselves weekly (like improving a difficult step or stretching consistently). One of my biggest challenges as a young dancer was setting expectations for myself that were too great and partially out of my control such as: “I need to get into this program” or “I want to dance this role”. Ironically, the times I was most successful and ended up achieving the big goals were the times I set the large expectations aside and worked on improving what I could day to day, focusing only on the present. To see Chantelle Pianetta in Graham Lustig’s “The Nutcracker”, get your tickets here. America Foy is a top-producing real estate agent with 10+ years of experience in the San Francisco Bay Area with expertise is in buying and selling high-end real estate in the East Bay. America is also known for his extensive knowledge of the EB-5 program and being a compassionate advocate for the foreign investor. As a member of the board of directors of the Oakland Ballet, America believes that art is a powerful, positive way to strengthen a community. Read on to find out why America is passionate about OBC! I am a new board member for the Oakland Ballet Company. I got involved in 2013 as a sponsor for the Spring Repertory Season and had a big opinion about the attendance at the annual spring gala. I was then asked to be on the Development Committee and soon also nominated to the board. OBC, along with the Oakland East Bay Symphony, is the foundation of the arts in Oakland and the East Bay. The strength that OBC lends to the arts in Oakland is invaluable, the community outreach the company does for the at-risk or forgotten Oakland residents is priceless. Why did you want to volunteer for OBC? I volunteered for OBC because I feel that at this point in time, Oakland is going through a renaissance. Art, dance, and culture is a place where dynamic things happen. A strong art community makes a strong and lasting overall community, which makes Oakland – where I live and work – and the East Bay a better place. What do you do for the Board? I am the Gala Committee Chairman and a board member for the board. What would you tell someone looking to volunteer for OBC? OBC is wide open for people looking to volunteer. We have so many opportunities to reach out into the community, experience some culture, learn about artists, and get some hands on, satisfying, volunteer opportunities. Everyone involved with OBC are lovely people and this is a fantastic opportunity to give back to the community. To support OBC and Graham Lustig’s “The Nutcracker”, get your tickets here. How I got involved was to try out for “The Nutcracker” in 2012 and do my best. When people from other cities come see it and say it is great, then the locals realize how good their city really is. I love the beginning part when I get to open the present – in the Party Scene. I have been dancing for eight years at Stage One in Benicia, two years in OBC’s “Nutcracker,” and started taking Saturday classes with OBC in September. What advice would you give your friends who want to try dance? Try at first, then continue trying, then you get it. How do you like Oakland Ballet’s Saturday technique classes? What are you learning? I think they are great. We are learning a lot of new moves and ways to stretch. Steven will be playing the roles of as a Party Kid in Act I and a Polichinelle in Act 2. To see Steven Lowe in Graham Lustig’s “The Nutcracker”, get your tickets here.